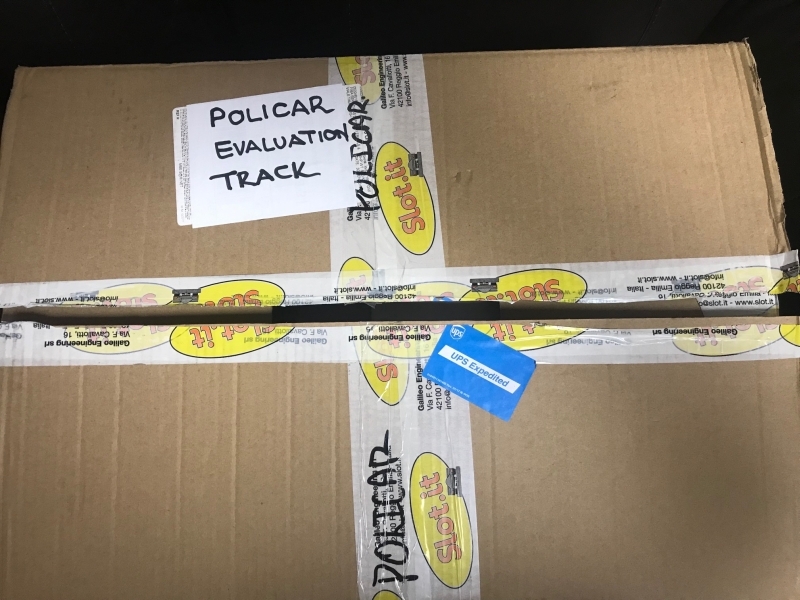 I am very appreciative of Armchair Racer to give me the opportunity to be able to try out the new Policar track system. Over the weekend I will give my impression of the way the track drives with both the supplied BRZ and other cars. Have fun! I'm interested to see how the cars perform as I'm intending to build a small fleet of BRZ/86's for a fun track class. I will run it on my track as well to get an idea. 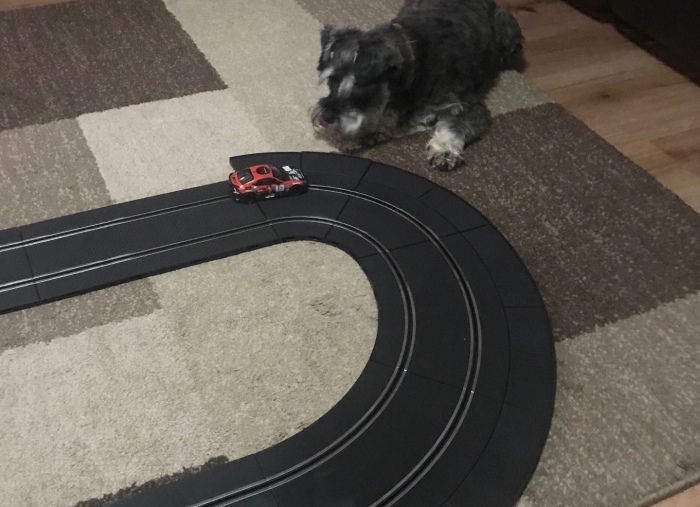 I gave the track a good run over the weekend and can report that it is probably the best all round plastic track currently available. Although the track I have is small it did give me a good opportunity to see how it fares compared to my routed track. In Australia and to some extent those blokes over in the land of the long white cloud MDF routed tracks are more common for reasons unknown. Maybe it is because we have bigger spaces that allow us to set up large permanent tracks? Either way it was nice to have the opportunity to run on the new Policar track. I have had my fair share of plastic track in the old days, Scalextric, SCX and Scalextric Sport. I have also raced on and assembled many a Ninco track and driven on Carrera track many times so it was nice to try this and compare my previous experiences. My first thoughts were of the quality of the track and how easy it fell together. It was easy to press the tracks together and they were held securely by plastic clips that were reasonably flexible. They also pressed into a nice little recess that sat flush with the side of the track so it did not protrude. 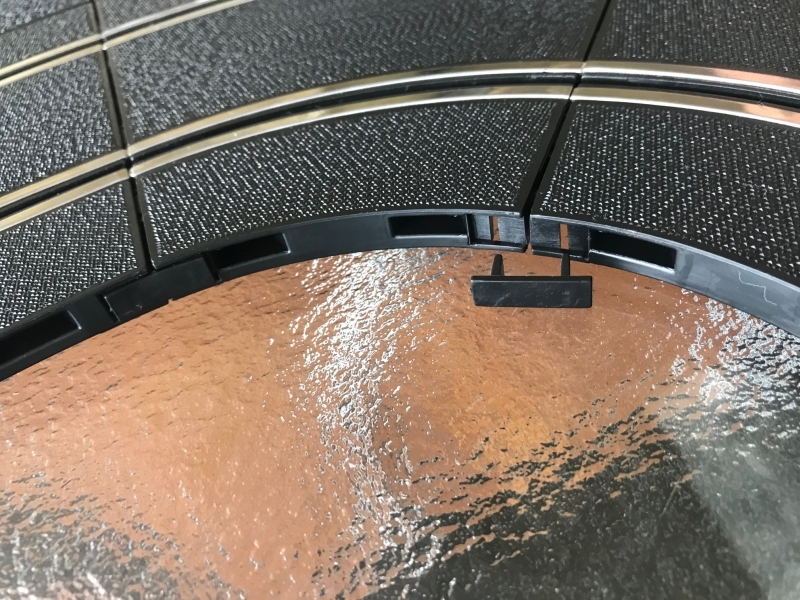 This makes it simple to fit the outer boarders so you can allow the car to slide. The only issue I noticed with assembly was the fences which were a bit of a pain until I bent out the clip a little before fitting. The system here is similar but maybe a bit stronger than old Scalextric fences. 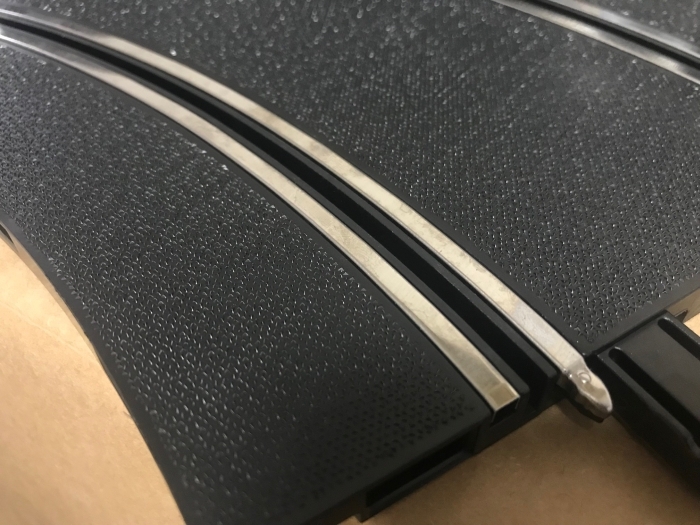 As for power connections there is a stereo pin connection on the hand controllers which means it has brakes. I was supplied with a standard DC power base but the track will come with an adjustable base. So the question is how does the track drive? I ran the supplied car with the magnet in at first as this is how it is supplied. It was quite smooth and allowed a little slide before the obvious break away and spin or flip. 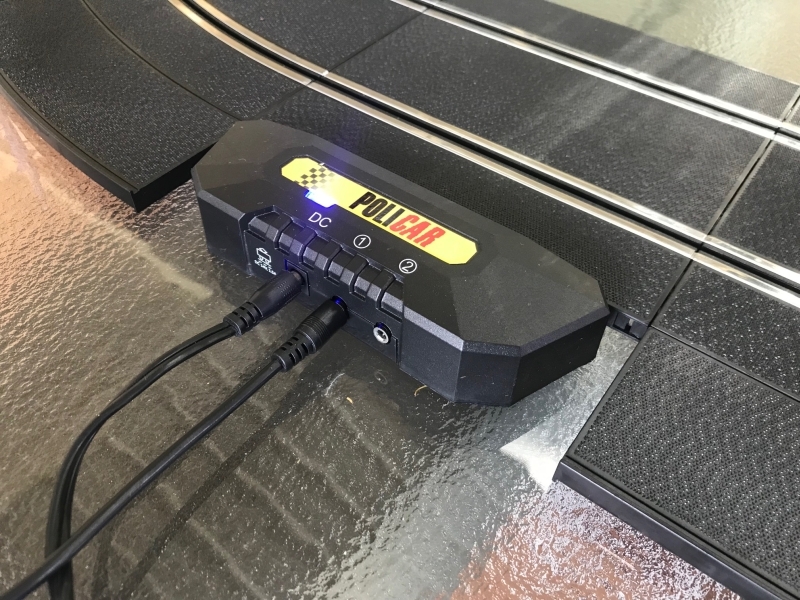 The car is obviously very suited to the track and considering the track is similar in composition to Carrera track so it is no surprise the car chassis is similar to a Carrera car. The track does have that clickety clack sound of any track with joins but it has beautifully smooth joins so the car runs smooth. And running with the magnet removed just showed how well the track is designed. The car slides well and has the perfect grip considering the car sits a little high and appears narrow. This probably means it is actually made to scale. I also tried a number of my cars, some with Slot.it N22 tyres, some with NSR Ultragrips and some with MJK tyres. And the surprise was the MJK's actually gripped better and gave the best feel. Another good point was after going back to Slot.it and NSR tyres from MJK I found the grip of both was still consistent so from my observations so far it seems there is no issue going from a urethane tyre to rubber. I am looking forward to seeing pricing as it is possible I may go back to plastic when I move house and build my next track. It is simple to assemble and the driving experience is close to a timber track. For those interested I tried the BRZ on my routed track which is tight and well suited to the car. As the track has copper braid I could only test non magnet but this gave me the best opportunity to see how the car runs. It is similar in power to a Scalextric or Carrera Mabuchi engine. The wheels are very true so the car ran smoothly. The tyre grip is spot on for the car and it had the perfect balance between grip and slide without wanting to tip over, to the point I thought it was better on my track than the tight Policar track I was supplied. The car is not a Slot.it car as the chassis is similar to a Carrera car as I mentioned previously. It is however a solid reliable car that will make a great host class or first track to get the kids into Slot racing. In summary i would say that this is the best driving plastic track I have driven as well as having a practical design. The track is close to Carrera in hardness but just that bit more flexible that it will be easier to have elevation changes. It is Ninco compatible which probably doesn't mean a lot in Australia as Ninco is no longer manufactured. It is still available but only while stock is around. 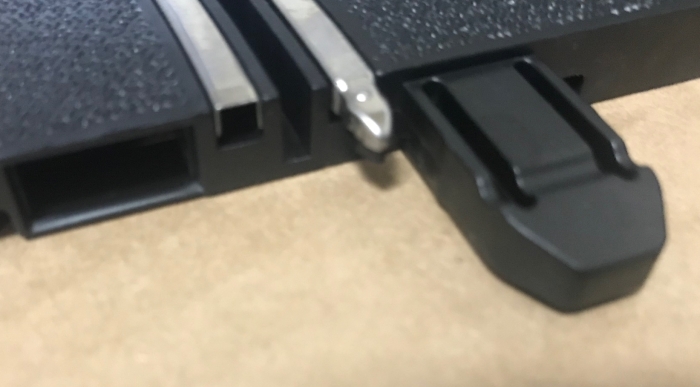 I will be interested to see how the Policar track is sold as it would be nice to see it sold in parts kits also so you can extend the track for a reasonable price. If you are up for a plastic track you won't go wrong with a Policar set. I can confirm that all curve radii (1 and 2 now, plus 3 and 4 later); all lengths of straights, clips, everything, will be available in packs - mostly 4 packs of track sections, 6 packs of borders, 10 packs of guard rails and 10 and 20 pack of small parts. The Ninco adapter pieces will be of most interest in continental Europe where Ninco has historically been the dominant club track system. These will provide a very flexible route forward for clubs. 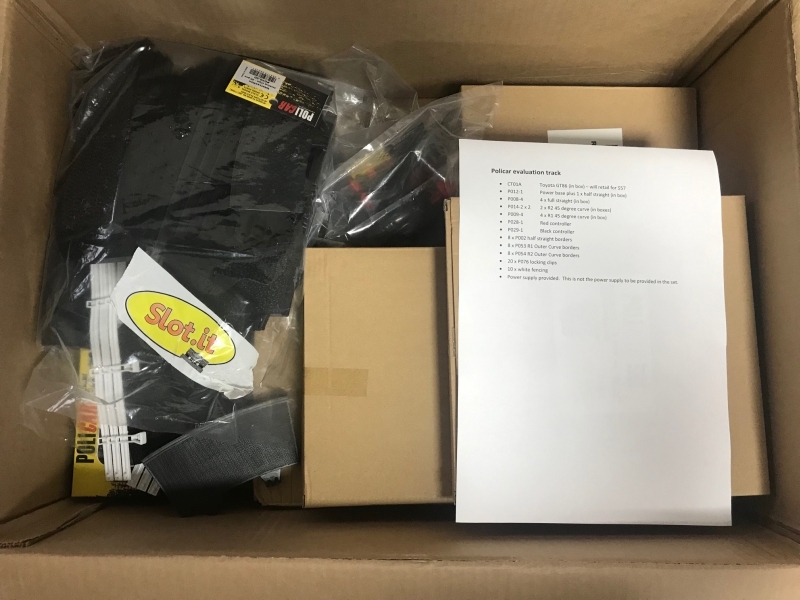 Slot.it have effectively protected the integrity of a track supply chain for clubs there into the future. After looking at my cousin's GT86 on the weekend at a family celebration, I now realise that this chunky looking little car is pretty close to scale. I wish they would bring out a black or white body version, so we could emulate some of the dozen's of them running around on the local race series here and Oz. Thanks for the info Vinno , i run on Carrera track and have been thinking of replacing it as it,s now 8 years old and had a lot of use, so find your thoughts very helpful , looks very similar in rail height to Carrera , and the surface of the Policar looks to be very grippy. Suppose in the end it will come down to price as to which track i will buy to replace current one , more Carrera or the Policar. Thanks for the write up Vinno, nice. Thanks for the review Vinno. I prefer routed tracks due to the aforementioned "clackity-clack"
Would be keen on a policar track setup but would depend on price. Nice review. 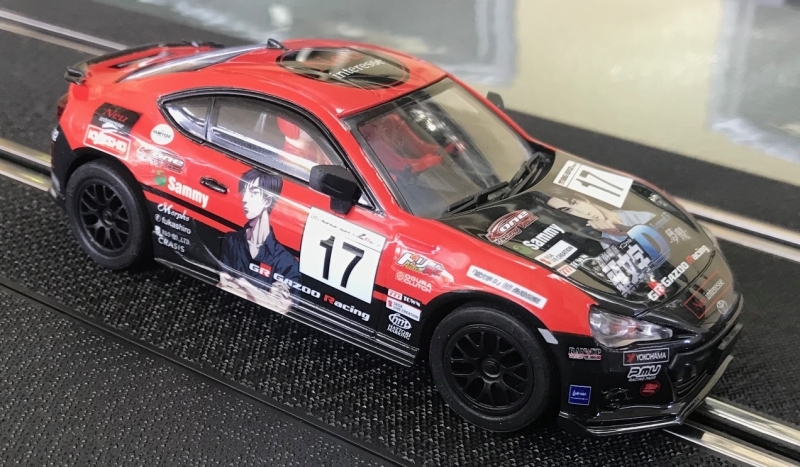 I think this is the first one that I see on a slotcar forum. I have scalex track and recently invested in Carrera because I want to go digital in 1/24th. So although this is not on my radar, I wish slot.it/policar well. My suggestion would be to add a couple of more radii (5 and 6) and if they really want to push it, maybe a couple of super wide radii like the polistil curva grande. "I am an expert at the top of my field when mowing the lawn". I’m starting to plan moving house but it will be 18 months to 2 years before we actually get in. The plan may be to go back to plastic when we get into the new house. Just being so time poor now means I will want to do something a bit faster and the way this track drives makes me think it could be a lot simpler. Or you could get someone like me to build you a track and deliver it when you are ready. If you can't fix it with a hammer, you have an electrical problem.